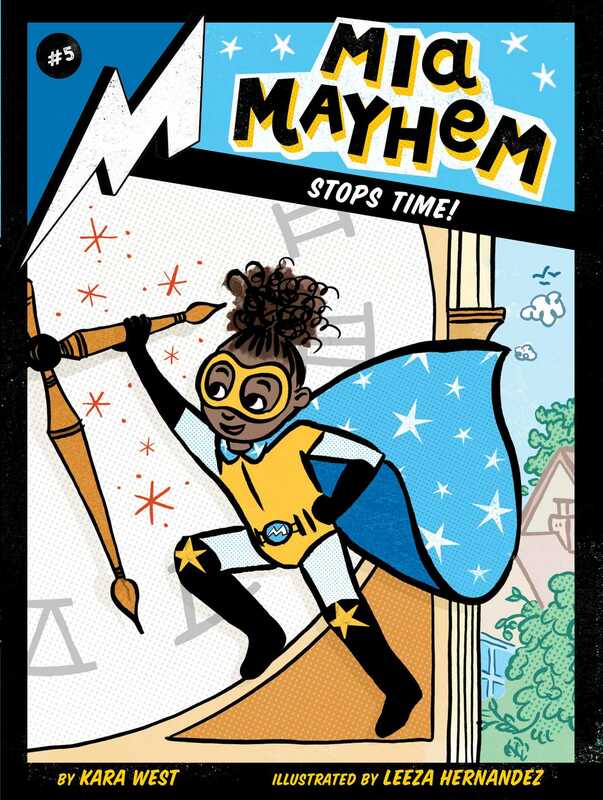 Mia learns to control time in this fifth adventure of the Mia Mayhem chapter book series! When Mia first learned she had superpowers, there was one ability that always came rather naturally: freezing time and people! So, when she finally learns the secret to controlling it, she’s excited to put her new skills to the test. But when she ends up accidentally freezing the entire town, will she find a way to make the clock start ticking again? Book Cover Image (jpg): Mia Mayhem Stops Time!